Metro-Goldwyn-Mayer, James Bond’s home studio, is now leaderless after CEO Gary Barber was apparently forced out. Naturally, the blog is intrigued and has some questions. Why did Barber get the heave-ho? Outlets including The Hollywood Reporter (“Barber was blindsided”), Variety (“Barber was blindsided”) and Deadline: Hollywood (“Gary Barber was asked to leave”) made it sound that Barber’s departure was swift and sudden. Considering that MGM in May extended Barber’s contract through 2022, that’s quite understandable. The reports also cited disagreements between Barber and the board of directors. What might that mean? Remember, MGM spent much of 2016 negotiating to sell itself to a Chinese buyer, a deal that never materialized, The Wall Street Journal reported in February 2017. Barber, who took command of MGM in 2010 when it was in bankruptcy, has been gradually trying to expand the company. It has become a good-sized buyer of television shows. And it took a step toward again becoming a “big boy studio” by striking a deal with Annapurna Pictures to create a joint venture to release each other’s movies. That would be a step toward MGM taking more control of its films. Until now, MGM has cut deals with other studios to distribute MGM films, including the Bond series. Speculation: It may be the MGM board lost patience and wants to sell the studio. UPDATE (7 p.m. eastern time): Actually, Deadline: Hollywood, in an update, says it was the other way around from the blog’s speculation — directors didn’t want to sell but Barber wanted to entertain a sale. How might this affect Bond 25? The next 007 film was specifically exempted from the MGM-Annapurna joint venture. Deadline reported in November that joint venture was “thisclose” to securing U.S. domestic distribution. That was never announced. But if that’s an unannounced reality, there’s still the question of international distribution. If you’re a studio interested in Bond 25 distribution (in whole or part), who do you talk to? MGM said Monday night there will be an “office of the CEO” that reports to the board until a successor is named. More broadly, at least for now, Barber’s ouster creates uncertainty for Eon Productions and its parent company, Danjaq. MGM controls half the franchise. That means Agent 007 is tethered to a studio where nothing seems to stay stable for long. UPDATE II (9:45 p.m., eastern time): The Tracking Board and Variety came out with similar “behind the scenes” stories Tuesday night. 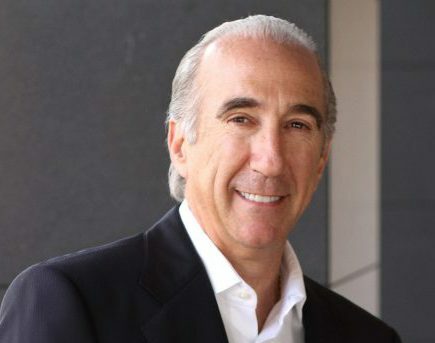 Gary Barber, head of Metro-Goldwyn-Mayer, home studio for the James Bond film franchise, is departing the studio after eight years at the helm, according to numerous news accounts. Deadline: Hollywood, in an update of its initial story, said late Monday that Barber “was asked to leave” by the company’s board of directors. The executive was requested to depart “over disagreements on strategy about the future direction of the company,” according to the entertainment news website. “In no uncertain terms, Barber was asked to leave the company, a move that sent has employees reeling.” Barber declined to comment to Deadline about why he was leaving. The move came after MGM in October extended Barber’s contract through 2022. Barber’s exit apparently was swift. He was still listed as CEO on the company’s website early Tuesday morning. Barber’s exit potentially could affect Bond 25. MGM hasn’t announced how the movie will be distributed. MGM formed a joint venture last year with Annapurna Pictures to distribute each other’s movies. 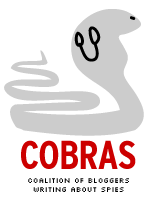 Deadline in November reported the joint venture was close to getting the U.S. distributorship for the film. If the deal was completed it was never publicly disclosed. It’s possible another studio may distribute Bond 25 in international markets. Bond 25 also hasn’t nailed down a director. Danny Boyle said last week he plans to direct the film if a script being written by John Hodge is approved. Barber took command of MGM when the studio was in bankruptcy in 2010. He steered a slimmed down version of MGM, which has improved its finances since then. His departure is the latest twist in an often dysfunctional relationship between MGM and Eon Productions and its parent firm, Danjaq. MGM acquired United Artists in 1981, which included half control of the Bond franchise. Relations have at time been tense between the two sides. Barber’s tenure appeared to be an exception. In his public remarks, Barber frequently referred to Danjaq as partners. 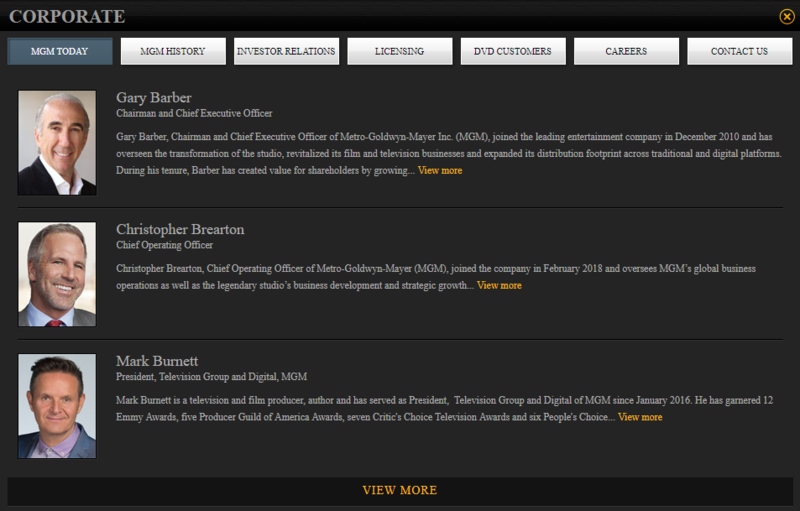 UPDATE (1:05 p.m. eastern time): MGM has removed Barber from the part of its website featuring executives.